The Ranmin Cottages can be categorized into 2 types. 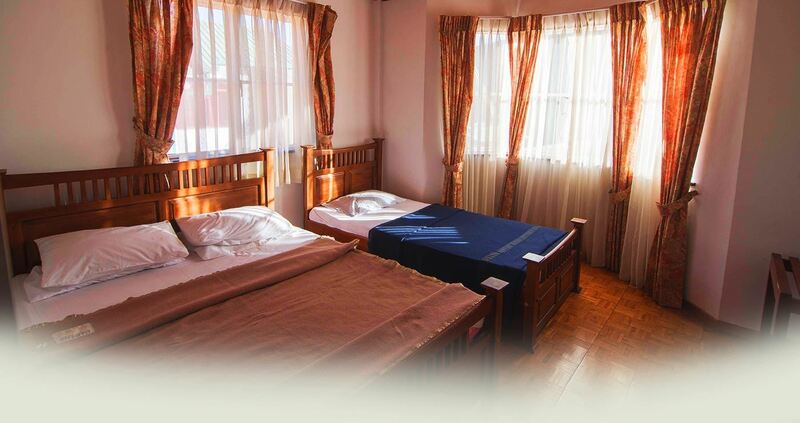 'Type A' homes two double rooms, two triple rooms, and accommodates up to 10 guests. 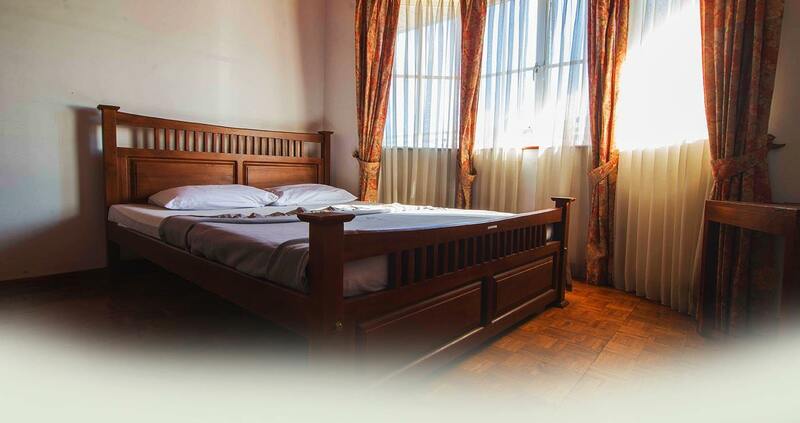 'Type B' comprises of one double and a single room, and accommodates up to 5 guests. 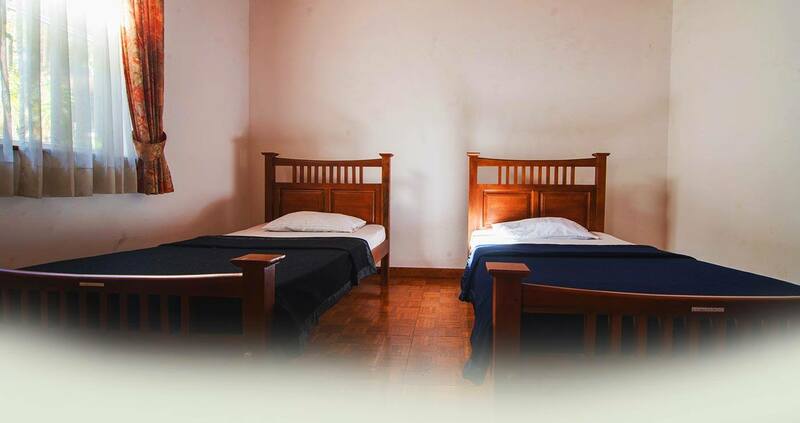 Dressed in pleasing green and earthy tones, the rooms are compact and cozy, and are furnished with comfortable beds. Plush mattresses, comfy pillows, soft blankets and beautiful scenes of the adjoining mountains and colourful garden below make these rooms a secluded sanctuary in the hills. Cottage 'Type A' includes 2 bathrooms, while Cottage 'Type B' has one. All bathrooms are equipped with modern amenities and are fitted with geysers so guests could enjoy warm water showers any time of the day. It is noteworthy that all rooms are located on the first floor of the Cottages; this allows for unhindered privacy. Since only the rooms are on the first floor, the ground floor can be used to entertain and socialize in.